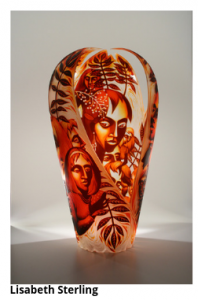 In conjunction with the Annual Glass Art Society conference, hosted by the City of St. Petersburg this March, the Chihuly Collection will exhibit a number of the artists presenting at the Morean Glass Studio. This show will explore various approaches to glass as an artistic medium from a survey of artists from around the country. Objects in the show range from blown glass work, cast glass and even lit installation. Artists include Peter Houk and Lisabeth Sterling.